• Are you a local “business owner”, “executive” or “professional”? • Do you want to network with the “Bitcoin & Blockchain” industry? • Are “early mornings” a better time for you to connect, before work? 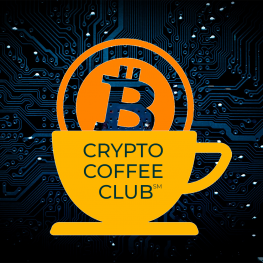 …THEN: This “Crypto Coffee Club℠” is perfect for you! We are “crypto minded” business leaders, and we are excited about the future of “Bitcoin & the Blockchain” industry — We think Bitcoin and Blockchain Technology will revolutionize every sector of business, which will affect us locally, and across the world. In these early stages of the Blockchain Industry, Rochester and New York State have the opportunity to “get ahead of the curve”, and be part of the “early wave of adopters”, at the enterprise, local business, AND consumer levels. Let’s discuss how these world opportunities meet local opportunities; and how we can work together to keep Rochester, NY an amazing place for business and technology progress. • (2) Meet & Network with other people. …including the latest bitcoin news and crypto alerts. Be a part of the fastest growing Bitcoin community in NYS! Join us! This meetup is for Business Owners, Executives & Professionals, including those just getting started. This meetup is designed to bring local professionals together, to chat about Bitcoin, and to have great networking with other people! Be Prepared for Success ~ Register for this Meetup, today! It’s time to learn about Bitcoin and the Cryptocurrency Revolution with local business leaders. 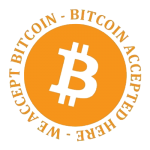 With Bitcoin (& blockchain technology) “anyone in the world” can send money directly to “anyone in the world”, via a “Trusted AND Decentralized” protocol (using math & cryptography), without the need to use any [costly or controlling] third-party institutions (such as Banks, or Western Union, or PayPal). I am an entrepreneur and small business owner. I help people understand technology, and I help them to Get Found & Get Clients online. I’m also a technology coach, and a business & marketing speaker. I talk on topics that entrepreneurs and business owners are interested in, to grow their Website, increase their visibility, and their clients. Let's discuss how these world opportunities meet local opportunities; and how we can work together to keep Rochester an amazing place for business and technology.